hi..im new to roborealm..i want to use it to detect and count the number of balls of a particular color. so far i used the rgb filter to detect the color..kindly let me know how i can count. You can use various modules to count objects. For example the color stats will do that. Or the blob filter will if you need to filter out the objects. If you have an example image and robofile to share that will make things easier. 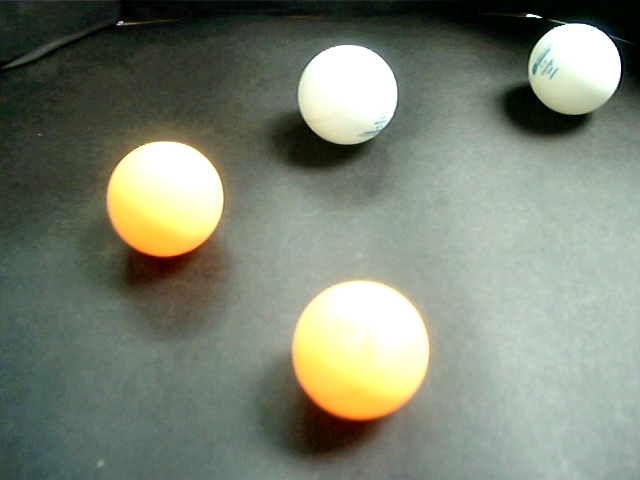 first of all..thank u for he reply..
i have attached the picture..i have orange and white balls, i want to count the number of balls of each color..
i have attached the picture..
Perhaps something like the attached? is there any way i can seperate the white from orange? Updating to the latest version should get rid of that xml tag error. The Blob filter was upgraded to better support deletion of attributes so the file I sent you is in that new format. As for separating orange from white, have a look at the checkboxes in the RGB_Filter module. Just play around with that for a bit and you should see how this could be accomplished. I managed to get the colors, however, i want display the number of blobs of each color. have been trying to assign weights and separate using weights, but its not working out.. i have too many blobs. kindly let me know how i can reduce the number of blobs, or if there is any other way to go about it. Could you include the robofile that you have been trying with the above image? What do you mean by too many blobs? Having your robofile will help us understand what your situation is. the image that i'm using is attached..
guide me on how to go about this..
after this, i will attach a camera to a lynxmotion arm and use it to pick the balls. how can i figure out the distance between the camera and the ball..i'm using only one camera.. Try the attached on the image posted here. The main trick is to use the Flood fill (in fast mode) to segment the image into individual areas. 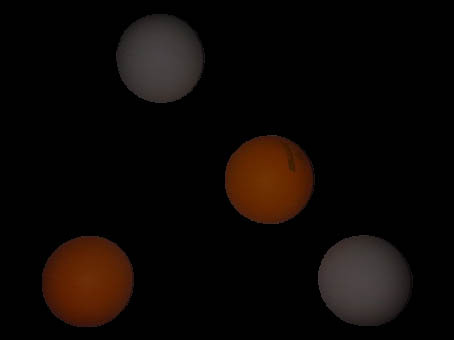 Once this is done it is easy to identify the balls based on their color/intensity and use the blob label module to count them. Keep in mind that Blob Filter also produces a blob_count variable so if you need to do additional filtering that also works (i.e. in addition to the blob's size).